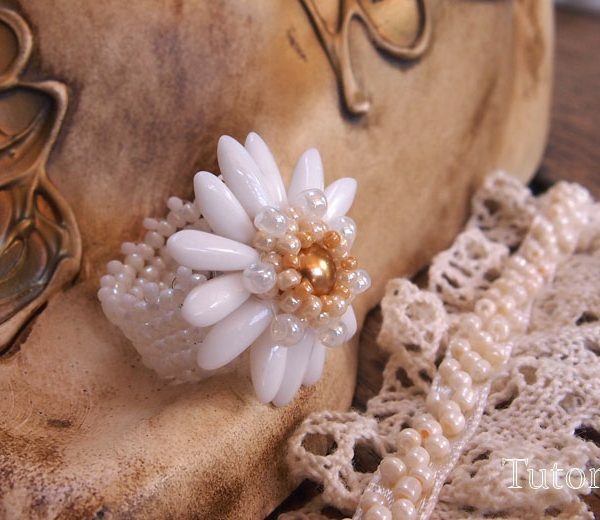 Beading tutorial, Beading tutorial for advanced bead weavers, Beading tutorial for beginners, Ring tutorial. 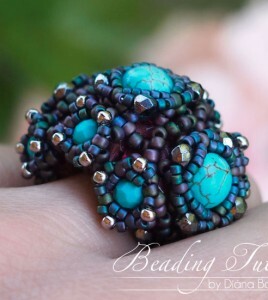 Beading pattern, Beading tutorial, Beading tutorial for advanced bead weavers, beading tutorial for beginners, Ring beading tutorial. 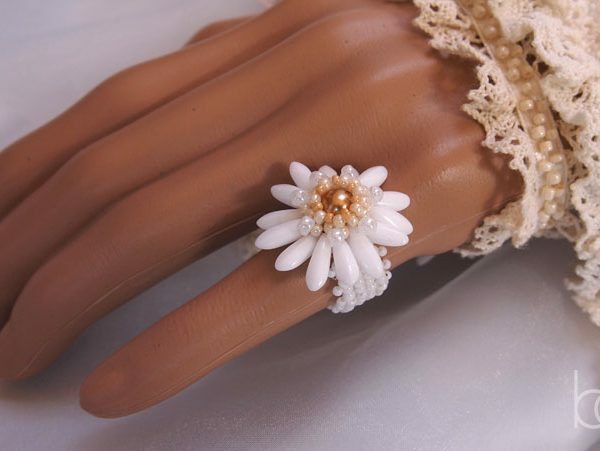 The PDF file containing instructions for making the White Lady Flower Ring. 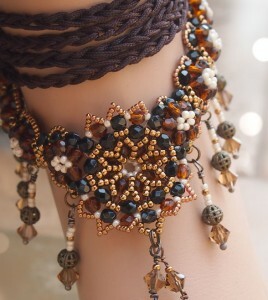 The beading pattern is very detailed. 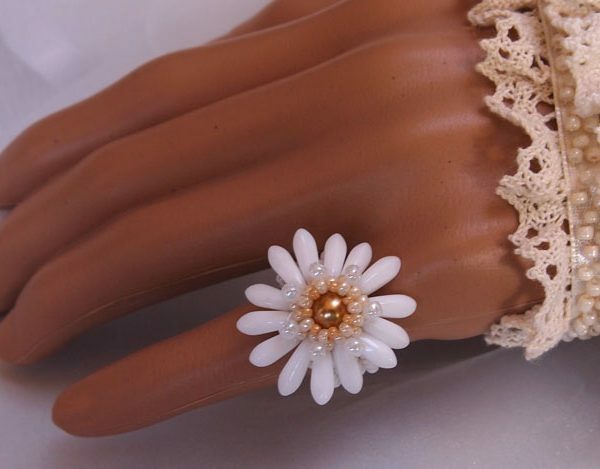 Step by step with illustrations of each step, material list, color list, and finished pictures of the flower ring. 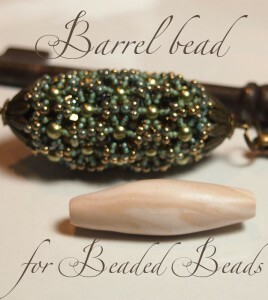 Beadwork pattern for beginners to advanced bead weavers.